It doesn’t matter how much you spend on a vaporizer if it doesn’t work. For the best herbal experience, nothing beats a clean piece, be it a pipe or a vape. Once you spend your hard earned money on a great vaporizer, you want to keep it working for a long time. The difference between a high-quality machine and an expensive paperweight is all in the maintenance. So here is how to thoroughly clean you Davinci IQ. To start cleaning your DaVinci IQ , you have to get in there and take it apart. It’s best to set up an area with a newspaper or small drop cloth to prevent crud from transferring to your kitchen table, or isopropyl alcohol ruining the finish on your desk. Separate the gasket from the mouthpiece. Remove the flavor chamber (use your metal pick tool, stored under the lid). Cleaning the chamber is the most important step for ensuring fresh, clean hits. Without proper cleaning, stale residue can rob new loads of a clean flavor. Remove the lid from the flavor chamber. Carefully remove the o-ring from the lid. Clean the chamber of loose material with the metal pick. Once free of debris, use the chimney sweep brush to clean the chamber. Depending on the frequency of your cleaning regimen, you may need to take extra measures to really get the unit back to like new condition. Use isopropyl alcohol to swab the inside of the bowl & around the Pearl. Use an alcohol wipe to wipe down the loading area and Pearl. For health and safety, never use a unit with alcohol still in it. Do a dry run of your DaVinci IQ to burn off any remaining alcohol before next use. To do this, set the DaVinci IQ to the highest temperature setting. Run for 2 minutes and then turn off to cool for a few minutes. From time to time, bud crud will sneak its way onto your device’s surface. Fingers get sticky. Harmful chemicals could potentially ruin the finish. Here’s all you have to do. Take your DaVinci IQ cleaning cloth and wet with warm water. Wipe down the exterior of the device and allow to dry before use. Sometimes, those little nooks and crannies can hold onto gunk stubbornly. Only use approved cleaning wipes to clean the unit. Never use soap or household cleaners. They can leave residue behind that is unwise to inhale. Cleaner residues can also cause a unit to malfunction. To finish your clean and get the hard to reach spots, submerge the chamber and other removable parts in a container of rubbing alcohol overnight. Rinse with warm water and allow to fully dry the next day. Reassemble and enjoy your clean vaping experience. 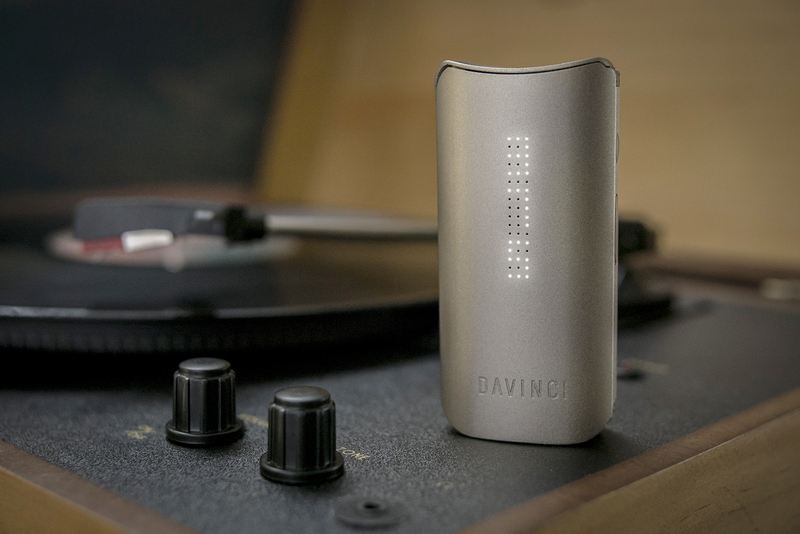 With proper care, the DaVinci IQ has the durable design and quality construction to last for decades. That’s why it comes with a 10-year Manufacturer’s Warranty. Namaste Vaporizers also suggests that you use the battery until fully drained and then allow to fully recharge to extend battery life. You can get your own DaVinci IQ by visiting NamasteVaporizers.com.